Papers: 1960-2013, 162.14 linear feet. The C.W. 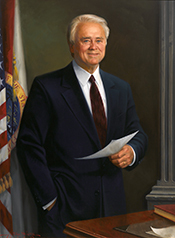 Bill Young Papers consists of government reports, files, legislation, news articles, photographs, and audio visual clips of Congressman Bill Youngs time in office 1960- 2013. A finding aid is available in the repository and online.